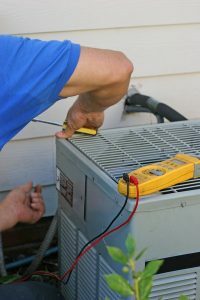 Most HVAC contractors recommend their customers schedule maintenance for their air conditioning systems during the spring. This fits the maintenance in at an ideal time, when the weather is starting to warm up but isn’t yet warm enough to make an AC necessary. HVAC contractors are less busy in this period, making scheduling simple. The situation is a bit different in Florida. The official start of spring isn’t until the third week of March, but our weather can warm up much faster with higher humidity. It’s a good idea to be prepped for hot conditions starting in April. So if you’re already thinking about arranging for AC maintenance here in late February—that’s good! We think it’s best to arrange for your regular maintenance before the rush of other homeowners who realize the weather is starting to turn hot. Posted in Air Conditioning | Comments Off on Is It Too Early to Think About AC Maintenance? We run our HVAC systems throughout the year in Central Florida, often with the air conditioner running even during winter—and heating systems taking over for a few days here and there. If you keep a close eye on your utility bills (always a good plan! ), you should have an idea of what your seasonal heating and cooling costs are, and they should remain steady through the season. Sudden spikes in the cost of heating and cooling your house when there isn’t an obvious reason for it is often a warning of a malfunction. Your might first think it’s a problem in the AC or the heater. Almost any type of repair need in a cooling or heating system will cause it to drain more money as it runs. But one of the main causes of wasted energy in an HVAC system isn’t located in the AC or heater—it’s in the ductwork. 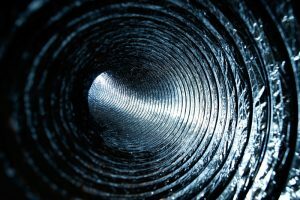 You may not realize it, but the cure for your high utility bills might be professional duct repair in Macclenny, FL from our experts.